How to change the theme (wallpaper)? Q: How to change the theme? A: You can change the wallpaper and the font size on this phone. 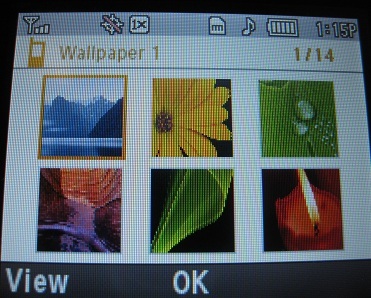 For the wallpaper, you can use your own images that you have taken with the phone's camera or uploaded to the camera via bluetooth or picture message or you can use one of fourteen preset images that come with your Straight Talk phone. The preset images are of high enough quality that they look great on your phone. 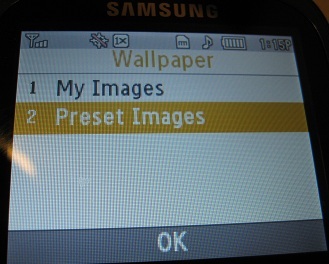 Choose MyImages or Preset Images. Select an image and press OK. When you go back to your home screen, you should see your new wallpaper.